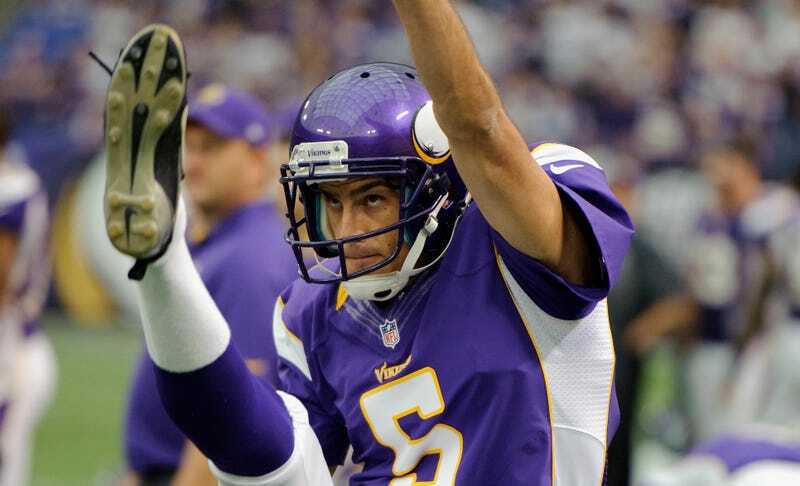 Chris Kluwe Says Wishing Unemployment On Mike Priefer Was "Too Harsh"
In his column alleging that Vikings special teams coach Mike Preifer used homophobic slurs and pushed him off the team, Chris Kluwe said he wanted to make sure Priefer "never holds a coaching position again in the NFL, and ideally never coaches at any level." He's backing off that a bit. Kluwe stands behind his claims, but in an appearance on Fox Sports Live, said his wish for Preifer to get blackballed "may have been a little too harsh," and not constructive in the least. "After thinking about it, after reflecting on it, I don't think an appropriate punishment is if he never coaches again. I think it would be better if he got therapy, if he got counseling, and then a year or two from now, come back into the league as a role model, help out with LGBT groups, and show people that this is an important issue. "What he said is very hurtful, but people can change."